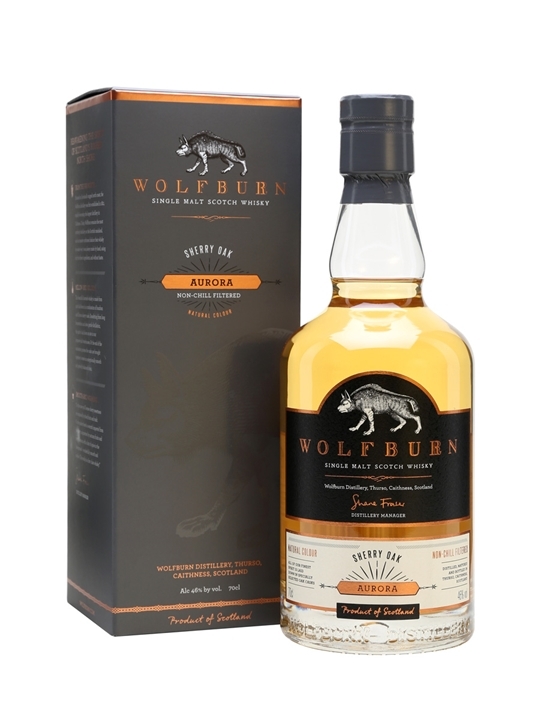 The Aurora is made from 40% first fill Bourbon barrels, 40% second fill quarter casks and 20% Oloroso Sherry hogsheads. Very calm in the smell. Some fruity and vanilla sweetness. Hay and dirt. All very subtle though! Some fresh fruits accompanied with some dried fruits in the background in the taste. It is not very sweet, and the sweetness you get is from peaches and raisins. Rough as well, with hay and gentle oak. The finish, which is medium long, don’t change much. It just carries the flavours out in a warm manner. Another (young) expression from Wolfburn that shows me that they are on the right path! Surprisingly enough, I wouldn’t guess this to be only 3 years old, and only very few notes tell me this is young. I will give this 81/100 (20/20/21/20).